Nathalie Sick is a Senior Lecturer in Contemporary Technology Management in the School of Systems, Management and Leadership within the Faculty of Engineering and IT at the University of Technology, Sydney. Her research interests are heterogeneous collaborations, industry convergence and technology forecasting in technology-driven environments. Nathalie is particularly interested in spanning the boundaries between different disciplines, industries and actors in the collaboration arena, such as industry, university and government. 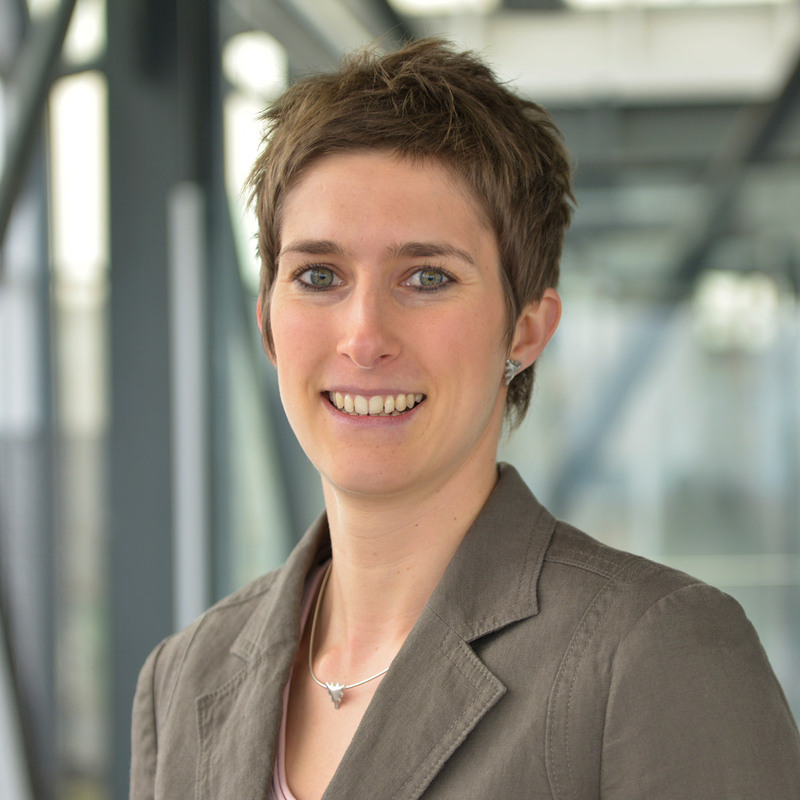 Prior to joining UTS, Nathalie held positions as Junior Professor for Innovation and Technology Management at the University of Muenster, Germany and lead the interdisciplinary young research group Innovation and Technology Management in Energy Storage with the Helmholtz-Institute Muenster. She received her PhD on innovation management from the University of Muenster and holds diploma in Business Administration and Industrial Engineering. Sick, N 2014, Diffusion Erneuerbarer Energietechnologien Eine empirische Analyse unter besonderer Berücksichtigung von Rohstoffpreisen, Springer-Verlag. Energietechnologien, wobei ökologische Defizite auftauchen können. © 2018 Elsevier Ltd The process of convergence, from science and technology convergence to that of markets as well as entire industries can be witnessed in a range of different high technology environments such as IT and NanoBiotech. Although this phenomenon has been subject of analysis in an increasing number of studies, the notion of industry convergence – the final step of a full convergence process - still lacks a common definition. The missing conceptual definition of what industry convergence really is and how it can be assessed impedes both analyses and monitoring - let alone its anticipation. To address the missing conceptual definition of the final step in convergence, this paper seeks to develop a framework based on novel indicators that enable identifying and monitoring trends of industry convergence in high technology environments. Building on indicators in the domain of collaboration, a framework, which distinguishes different stages and types of industry convergence is developed. Subsequently, the newly developed framework is empirically illustrated in the area of stationary energy storage based on publicly available data. To this end, the full text database Nexis is used to conduct a search in news reports on collaborations in the domain of stationary energy storage. The study contributes to the growing body of convergence literature by providing a novel framework allowing the identification of not only industry convergence as the final step of the convergence process but also the classification of its type. Practical implications include an orientation for companies in converging environments on when and how to close the resulting technology and market competence gaps. © 2018 Elsevier Ltd Insights from battery research and development (R&D) need to be transferred into industrial application to create innovations and thus foster e.g. electro mobility. In terms of battery technology transfer, the early phase of application is particularly challenging due to the close intertwining between R&D and application. Therefore, the present study introduces start-ups as an additional indicator to capture the transition from science to industry within the technology life cycle. The findings show that despite highly dynamic R&D activities, technology transfer is only taking place on a very limited level. Surprisingly, start-ups focus on incremental improvements of existing technologies instead of introducing radical breakthrough-technologies. An analysis of the battery value chain reveals that opportunities for start-ups are rather located downstream in the value chain when integrating cells to battery systems and developing applications relying on innovative battery technologies. The findings contribute to the area of technology life cycle analysis explicitly using start-up companies as additional indicator for the critical transfer step from R&D to application. In a similar vein, technology forecasting literature, which is to date mainly focused on R&D, is expanded by a more application-centred perspective that allows identifying transfer opportunities along the technology value chain. © 2016, Akadémiai Kiadó, Budapest, Hungary. Understanding the competitive environment of one's company is crucial for every manager. One tool to quantify the technological relationships between companies, evaluate industry landscapes and knowledge transfer potential in collaborations is the technological distance. There are different methods and many different factors that impact the results and thus the conclusions that are drawn from distance calculation. Therefore, the present study derives guidelines for calculating and evaluating technological distances for three common methods, i.e. the Euclidean distance, the cosine angle and the min-complement distance. For this purpose, we identify factors that influence the results of technological distance calculation using simulation. Subsequently, we analyze technological distances of cross-industry collaborations in the field of electric mobility. Our findings show that a high level of detail is necessary to achieve insightful results. If the topic in scope of the analysis does not represent the core business of the companies, we recommend filters to focus on the respective topic. Another key suggestion is to compare the calculated results to a peer group in order to evaluate if a distance can be evaluated as 'near' or 'far'. © 2016 Elsevier Ltd The global automotive industry is faced with major technological change in the field of propulsion systems. Due to low carbon emission regulations and a rising societal demand for sustainability, original equipment manufacturers (OEMs) are forced to innovate either in the conventional technology or in the technological alternatives such as electric drives or fuel cells. However, OEMs are only marginally switching to electromobility so far, but rather incrementally innovating traditional technologies. This behaviour can be described as sailing ship effect which contains the reaction of an old technology to a new technology by fostering innovation in the old technology. Firstly, the present study contributes to the discussion in literature on the sailing ship effect by combining its underlying ideas and consequences with the rationales of path dependence to demonstrate that such a behaviour may be individually economical rational. Based on these considerations, we respond to the call for further empirical investigation of the sailing ship effect. We show patent-based evidence that there has been a temporary sailing ship effect in the automotive industry concerning traditional and emerging propulsion systems and discuss implications for corporate technology strategy and policy. © 2016 World Scientific Publishing Company. Over half of all research-oriented partnerships in the biotechnology industry fail due to problems in inter-organizational relationships. The analysis of factors that determine the success of strategic partnerships can help companies to reduce the high failure rates. Based on the resource-oriented and relationship-oriented approach, this study examines the influence of three structural factors and three dynamic factors on the success of strategic, research-oriented partnerships in the biotechnology industry. In the empirical study, data of 48 research collaborations by 28 companies were collected and analyzed. The results confirm the significant influence of the factors "complementary resources", "operational compatibility", "bilateral exchange of information" and "opportunistic behavior". On the basis of these findings, companies can find approaches to influence the success of their own research collaborations. In particular, appropriate recommendations for action can be formulated in the areas of the structural design of partnerships and the dynamic exchange process. © 2014 Elsevier Inc. Innovation collaborations experienced a substantial growth during recent decades, so that research interest in factors contributing to successful collaboration increased. One proposed success factor is technological distance, which determines the probability of receiving new knowledge from a partner as well as the ability of absorbing it. The methodology for measuring this distance is receiving broad attention in current literature. Therefore, we compare well-established measuring methods based on Euclidian distances with the recently introduced method of the min-complement distance.Collaborations along the entire value chain are seen as a way to overcome technological deficiencies associated with battery development for electric mobility, which implies collaboration of partners with different technological distances. Hence, we specifically focus on cross-industry collaborations comprising partners from the chemical and automobile industries.Our results show that the methodology used highlights different aspects of the approximation of technological distance in the examined collaborations. The use of the min-complement distance seems to be reasonable due to the intuitive property of the independence of irrelevant patent classes in cross-industry collaboration settings. Golembiewski, B, Sick, N & Broering, S 2015, 'Potential convergence processes within the emerging bioeconomyPotential convergence processes within the emerging bioeconomy – agriculture and energy industry in the focus', International Journal of Innovation and Technology Management, vol. 12, no. 3, pp. 1550012-1-1550012-22. © 2014 Elsevier Ltd. All rights reserved. Electric mobility is a topic of intense discussions in academia and industry since the stability of future energy supply as well as the associated environmental consequences are uncertain. Therefore, it is necessary to evaluate the research and development status of battery technologies for electric vehicles which are reflecting the interface of the automotive, chemical and electronics sector. The present study applies patent families as technological indicators in order to analyze the research activities of each step of the designed battery value chain individually and in comparison with each other to identify and discuss trends regarding the technologies associated to electric vehicles. By applying this explorative approach to the comparably new field, the study contributes to both the scientific literature on patent analysis as well as on emerging industry and value creation structures related to the electric mobility sector. Although the distribution of patents shows an emphasis on active components, the high number of patents covering more than one value chain step points towards the tendency of considering the whole value chain in systemic research approaches. Furthermore, a detailed analysis of patent assignees reveals insights on the knowledge dissemination across the value chain whereby the major share of industry actors still appears to be focused on their respective core competences but also administers important links to other value chain steps. The increase of collaborative activities across steps further hints towards starting shifts in value creation activities. © 2015 Elsevier Ltd. As the global resource base is in need to move from fossil towards bio-based raw materials, different supply chains as well as existing technology platforms become increasingly interconnected. The therefore needed creation and exchange of new knowledge across scientific disciplines require R&D and target technology development and innovation, linking the knowledge-based bioeconomy to technology and innovation management research. In order to get an overview of the current research landscape dealing with the bioeconomy, a publication analysis is conducted. As the number of empirical studies, particularly in management research, is low, our study reveals that the evolution of the bioeconomy is still on a strategic level. Existing studies focus on knowledge networks, open innovation and technologies applicable across value chains to enable a holistic view on organizing future resource allocation and biomass flows. Scientific research in several dimensions is needed to elaborate the bioeconomy concept to make its implementation manageable. Industrial relevance Value chains, particularly of the agri-food, industrial products and energy sector, will increasingly converge due to the shift to bio-based raw materials leading to a mutual dependence and triggering new material flows and food processing technologies. This paper suggests that essential innovation management related research frames might contribute to a sustainable evolution of the bioeconomy by addressing the major challenges. © 2015 World Scientific Publishing Company. In light of an emerging bioeconomy, fading boundaries between the so far distinct agricultural and energy sector indicate a convergence process leading to a new competitive setting between established value chains requiring dynamic capabilities of the affected firms. On the basis of understanding convergence as a process within research-intensive industries, patent analyses can be applied to identify whether there are trends of convergence associated with the emerging bioeconomy. This study focuses on examining the nexus of agricultural and energy sector with regard to German biogas technologies. Although different disciplinary activities within the field of biogas can be confirmed, for now, biogas (as well as other bioenergy) applications rather seem to build a sub-segment within the energy value chain than to form a new inter-industry segment. © Emerald Group Publishing Limited. Purpose - Researchers began investigating the diffusion of renewable energy technologies (RETs) in the late 1990s, and, up to today, a variety of authors have presented different approaches to understand the special characteristics of RET diffusion. However, one factor has been thus far disregarded in the research: the influence of raw material prices on RET diffusion. The dependence of a multitude of technologies on raw material prices became especially apparent in recent years due to rather sudden and volatile price movements in raw material markets. Thus, the aim of this work is to contribute to the research by providing evidence for a direct linkage between raw material price developments and RET diffusion. Design/methodology/approach - A theoretical framework used in this article derives from the concept of induced diffusion. This empirical study is based on publicly available data of 18 Organisation for Economic Co-operation and Development (OECD) countries over 20 years and uses multivariate regression analysis to identify the corresponding diffusion models for selected established and emerging RETs. Findings - Results reveal that crude oil prices play a crucial role in the diffusion of emerging RETs. In addition, a joint reflection of induced diffusion and path dependencies as the theoretical foundation of RET diffusion models might be reasonable. Originality/value - This paper makes a significant contribution to the literature on induced diffusion in the field of renewable energies by providing insights from publicly available data from 18 OECD-countries. The findings are highly relevant for managers of the energy industry and policymakers in this field. © 2041 Imperial College Press. Technological distance is one important factor within research projects to enhance or prevent successful knowledge transfer for innovation. To get a better understanding of bridging mechanisms of diverging technological distances, we compare publication-based and individually perceived technological distances of collaboration partners in a multidisciplinary battery research project. Differences hint at already bridged or non-bridged technological distances. Further information, given during expert interviews, present reasons for different knowledge transfer and recombination mechanisms in different dyadic collaborations. We generally find evidence that technological distance can be bridged by reducing geographical or social distances. When research activities are really complementary and collaboration partners have a common (technical) language, there is less need of decreasing other distances. Integrating research along the traditional battery value chain needs more social or geographical proximity to decrease and not just bridge technological distance at least in a practical way. © Emerald Group Publishing Limited 2014. Purpose – This paper aims to extend the small body of literature on energy industry transitions on firm level. A growing number of articles shed light on paradigm shifts in the energy industry and the influence of renewable energies on industry structures. In the majority of cases, the authors analyze changes on a global or national level.Design/methodology/approach – Energy companies' forecasting capabilities are particularly important to enable them to react in time to upcoming changes in industry structures. In this context, we analyze annual reports of German energy companies to evaluate their economic and technological forecasting competencies.Findings – Big energy providers offer high economic forecasting quality, but seem to be less able to derive valid forecasts in terms of renewable energies from the currently unstable political frameworks. On the contrary, renewable energy companies do not seem to suffer from these difficulties and provide good foresting accuracy in terms of renewable energy development, but show less accurate economic forecasting quality.Practical implications – Big energy providers need to find the means of responding to the challenges and integrate changing political guidelines and support into their forecasting system. Renewable energy companies, in contrast, should focus on company-level profitability and the respective economic forecasting competencies.Originality/value – This paper makes a significant contribution to the literature on the subject of energy industry transitions by providing insights from publicly available data on firm level. The findings are highly relevant for managers of the energy industry and policy makers in this field. Purpose: There are several approaches trying to explain the diffusion of renewable energy technologies (RET). The most commonly used instruments are learning and experience curves, followed by further economic, policy- and barrier-related analyses. In order to gain a more comprehensive understanding, additional influence factors on RET diffusion have to be studied. This paper aims to contribute to research on RET diffusion by adding the raw material price perspective. Design/methodology/approach: The authors develop a regression model to test the influence of raw material prices on RET diffusion, using investments in RET capacities as indicators of diffusion, and crude oil and natural gas prices as well as public R&D subsidies as main independent variables. The model is then applied to emerging RET (wind and solar power) for electricity generation in 18 OECD-countries. Findings: In the case of wind power, the model shows an adequate fit and a highly significant impact of oil as well as gas prices on investments in RET capacity. In the case of solar power, the impact of raw material prices proves to be highly significant as well, but the weak model fit demands further adjustments of the parameters. Originality/value: Theoretical implications include the expansion of existing RET diffusion models to a raw material price component. From a practical point of view, the authors provide a starting basis for the systematic integration of raw material price developments into companies' planning and forecasting processes. © Emerald Group Publishing Limited. © Springer Science+Business Media New York 2012. Hydrogen holds a prominent role as renewable energy carrier of the future due to its high gravimetric energy density. However, the most urgent technological challenge—especially concerning mobile applications in fuel cell vehicles—is the development of appropriate hydrogen storage options. In this context, metal hydrides are promising candidates in terms of development potential and increasing storage density. Our research outlines the so-far neglected influence of raw material prices on the decision which metal hydride is to date the most capable option to pursue. Using scenario analysis, we picture the impact of possible price developments depending on diffusion speed of fuel cell technologies into the automotive market, further applications of the corresponding raw materials, and other external influence factors. The main practical implication of our approach consists in enhancing the understanding of constantly changing market conditions—in our case scarcity and prices of the needed raw materials—and their impact on technology assessment in an early stage of the innovation process. In a superior context, our results in terms of metal hydrides can be adapted to other technologies and thus contribute to design a general model illustrating the influence of raw material prices on the development of energy technologies. Smart city literature is overdrawn with discussions on public services such as transportation while there is a need to broaden the analysis to understand the very rich dynamics of cities. In this chapter, the goal is to focus on the rise of technology-based entrepreneurs in cities who are creating emerging digital technologies. Cities have been a popular unit of analysis for technological development and economic activities due to their high dependency on immediate local context factors. Nowadays, transformation of cities into 'smart' have increased their role further – both for economic value and for technological growth. This paper aims to expand the smart city concept to an ecosystem approach where cities become hubs of digital technologies. By combining the previous literature on entrepreneurship and digital technologies within a particular urban context, this paper discusses how smart cities could be a solid base to build digital entrepreneurship ecosystems for sustainable, liveable and competitive cities. In particular, the paper provides a case study for Sydney by illustrating the interactions between smart cities and digital entrepreneurship ecosystems in practice. The chapter ends with a summary of findings and implications for both policy makers and digital entrepreneurs. © 2018 by World Scientific Publishing Co. Pte. Ltd. All rights reserved. This study investigates which technology management (TM) tools are used in practice, what determines their usage, and whether they affect the user firms' performance. Based on a survey of 52 electronics and machinery firms in Turkey, the study shows there are significant relationships between the number of TM tools and techniques that a firm uses and (i) the hierarchical level of the chief technology officer (CTO) or most senior manager responsible for technology, (ii) his/her field of education, and (iii) the size of the firm. The findings indicate a significant and linear relationship between the extent to which the firms have reached their growth targets and the number of TM tools and techniques used. This relationship is, however, not observed between the firms profitability and the number of TM tools and techniques. The findings have important implications for the practice of TM. Tiemann, I, Sick, N & Leker, J 2012, 'Supplier involvement in customer new product development: new insights from the supplier's perspective' in Perspectives on Supplier Innovation Theories, Concepts and Empirical Insights on Open Innovation and the Integration of Suppliers, World Scientific. The last decade has witnessed the rise of technology-based entrepreneurs who managed to build companies based on the use of emerging digital technologies. However, the pure availability of digital technologies in a particular country does not guarantee to establish successful companies and economic growth. Companies are located in certain regional or urban environments with varying contextual factors. Cities have been a popular unit of analysis for technological development and economic activities due to their high dependency on immediate local environmental factors. Nevertheless, the literature offers a limited view on the relationship between technological developments and entrepreneurial activities at city level to identify feasible frameworks to support a digitally competitive entrepreneurial ecosystem. By combining the previous literature on entrepreneurship and digital technologies within a particular urban context, this paper offers a conceptual approach that might help policy makers to plan the future competitiveness of their cities. © 2018 Portland International Conference on Management of Engineering and Technology, Inc. (PICMET). The merger of the digital and physical world in the context of Industry 4.0 is about to disrupt value chains and markets in almost every industry sector. In this context, the Internet of Things (IoT), enabling linkages and communication between physical and virtual objects, is the technological foundation of implementing Industry 4.0. In such a fast-paced environment, it is vital for companies to react quickly and exploit new business opportunities. One critical example is the interplay between logistics and information and communications technology (ICT) industries, where IoT has the potential to align goods and information flows in an unprecedented manner. The arising new functionalities, services and products show potential to blur the industries' boundaries and give birth to a whole new industry segment. Therefore, the present study strives to anticipate industry convergence between logistics and ICT industries in the realm of IoT. The empirical patent analysis is based on IPC co-classification and assignee structure. The analyses are refined along the different levels of IoT to provide detailed insights for companies where new technological and market competences need to be acquired. Sick, N, Broering, S, Aaldering, L & Figgemeier, E 2017, 'Life cycle patterns and industry clockspeed in energy storage', The XXVIII ISPIM conference 'Composing the innovation symphony', Vienna, Austria. Kraetzig, O & Sick, N 2017, 'Overcoming the barrier of non-willingness towards technology commercialization – The case of German battery research', The XXVIII ISPIM conference 'Composing the innovation symphony', Vienna, Austria. Kraetzig, O & Sick, N 2017, 'A patent-based approach for the identification of technology strategies - The case of emerging battery technologies', PICMET'17 "Technology Management for the Interconnected World", Portland, Oregon, USA. Figgemeier, E, Wells, L, Becker, L & Sick, N 2017, 'Implications of Cycle Stability of Silicon Alloy Anodes on Driving Range, Costs and Business Models of Electric Vehicles', Batteries Event 2017, Nice, France. © 2016 Portland International Conference on Management of Engineering and Technology, Inc. Innovation collaborations experienced a substantial growth, so that the research interest in factors contributing to successful collaboration increased. One important factor in this context are distances like technological and geographical distance. The distinction between objectively calculated and individually perceived distances provides possible starting points to bridge high distances. Therefore, the study at hand aims to answer the following research question: How are calculated technological and geographical distances related to their perceived counterpart and how do these different distance dimensions influence each other? The data is collected from an interdisciplinary battery research project. The calculated technological distance is measured via a publication-based approach while the calculated geographical distance is defined as the distance between the respective working places. Perceived distances, in contrast, are received via an online questionnaire. The influence model confirms a positive relationship between the calculated distance dimensions, technological and geographical distance, and their perceived counterparts. However, respective measures do by far not entirely overlap, so that the perceived ones are further influenced by factors like e.g. scientific background or shortest travel time. This approach is especially promising to foster social innovation as the awareness of bridging mechanisms might provide avenues to deal with technological distance, which can be assumed to be comparably high in this context. The world is becoming increasingly complex and interconnected, and so are the challenges we face in innovation management – but do our problem solving methods keep pace to deal with such wicked problems? The present study focuses on developing and evaluating an open innovation method named wicked problem sprint sessions (WPSS) to cope with wicked problems in innovation management. This workshop-based method is embedded in the ISPIM conference context and aims at bringing together interdisciplinary experts from the triple helix. The method uses different creativity, design, cross-industry and gamification elements to allow a quick understanding of a focal problem and development of innovative solution ideas and concepts. The contribution is twofold. Firstly, we provide a concise overview of wicked problems with respect to innovation management, linking the multidisciplinary background of wicked problems to the requirements of innovation management. Secondly, we present and evaluate WPSS as a new open innovation method how to solve wicked problems in innovation management, not only in business but also in educational and public domains. © 2017 IEEE. Assessments regarding the strategic reactions of companies towards technological change are highly complex and often lack generalization. Methods for analyzing company resources were rather applied than methods directly focusing on the respective strategic reactions. There is, however, a need for a methodology that provides a more comprehensive overview and enables an early recognition of strategic reactions to technological change, for example through the use of easily available secondary data. Thus, the aim of our study is the development of a patent-based approach to identify particular strategic reactions of respective companies towards technological change. Achieving this objective involves an analysis of patent activities for the case of relevant cell manufacturing companies of lithium-ion and post-lithium-ion battery technologies. The developed methodological approach could be applied successfully to the identification of strategic reactions in the battery field. From a practical point of view, our findings give detailed and above all early insights in strategic decisions and enable technology managers to better assess investment options in different technologies. Sick, N, Suseno, Y, Hofmann, E & Nienaber, A-M 2016, 'Distance and knowledge hiding in academic collaborations', ISPIM Innovation Summit 2016 'Moving the Innovation Horizon', Kuala Lumpur, Malaysia. vom Stein, N, Sick, N & Leker, J 2016, 'Interaction of calculated and perceived distance dimensions – Evidence from a battery research project', PICMET'16 "Technology Management for Social Innovation", Honolulu, Hawaii, USA. Zhu, H, Sick, N & Leker, J 2016, 'How to use crowdsourcing for innovation? A comparative case study of internal and external idea sourcing in the chemical industry', PICMET'16 "Technology Management for Social Innovation", Honolulu, Hawaii, USA. Sick, N, Preschitschek, N, Guertler, M & Broering, S 2016, 'Convergence research in technology and innovation management literature A review on its current status, overall relevance and future challenges', R&D Management Conference 'From Science to Society: Innovation and Value Creation', Cambridge, United Kingdom. Sick, N, Preschitschek, N & Broering, S 2016, 'Hot spots of convergence research', The XXVII ISPIM Conference 'Blending Tomorrow's Innovation Vintage', Porto, Portugal. Strudthoff, M, Sick, N & Leker, J 2016, 'Knowledge networks based on technological distances', The XXVII ISPIM Conference 'Blending Tomorrow's Innovation Vintage', Porto, Portugal. Sick, N, Golembiewski, B, Preschitschek, N & Leker, J 2015, 'Market convergence in electric mobility - An empirical analysis of cross-industry collaborations', ISPIM Innovation Summit 2015 'Changing the Innovation Landscape', Brisbane, Australia. Sick, N, Preschitschek, N, Broering, S & Leker, J 2015, 'Market convergence in the field of stationary energy storage systems', PICMET '15 Conference "Management of the Technology Age", Portland, Oregon, USA. Leker, J, Liesenkoetter, B, Nienaber, A-M, Schewe, G, Sick, N & vom Stein, N 2015, 'Still waiting for electric cars to break through - Blame it on the sailing ship effect', The XXVI ISPIM Conference – Shaping the Frontiers of Innovation Management, Budapest, Hungary. Sick, N, Frischkorn, J, Moehrle, M & Kehrel, U 2014, 'Future trends in R&D on battery technologies for electric mobility – Evidence from evolutionary patterns', The R&D Management Conference 2014, Stuttgart, Germany. Golembiewski, B & Sick, N 2014, 'Linking environmental management strategies, environmental innovation and performance: Evidence from the chemical sector', The R&D Management Conference 2014, Stuttgart, Germany. vom Stein, N, Golembiewski, B & Sick, N 2014, 'Technological distance in academic collaborations - Evidence from battery research', The XXV ISPIM Conference – Innovation for Sustainable Economy & Society, Dublin, Ireland. Golembiewski, B, Koppe, A, Sick, N & Broering, S 2014, 'The emerging research landscape on bioeconomy: What has been done so far and what is essential from a technology and innovation management perspective? ', System Dynamics and Innovation in Food Networks, Innsbruck-Igls, Austria. vom Stein, N, Sick, N & Leker, J 2013, 'How to measure technological distance in collaborations? The case of electric mobility', PICMET '13 Conference "Technology Management in the IT-Driven Services, San Jose, California, USA. Golembiewski, B, Sick, N & Leker, J 2013, 'Agriculture and energy industry in the setting of an emerging bioeconomy – Are there any signs of convergence on the horizon? ', PICMET '13 Conference "Technology Management in the IT-Driven Services", San Jose, California, USA. Golembiewski, B, vom Stein, N, Sick, N & Leker, J 2013, 'Enhancing patent analysis as measure for innovation - Evidence from electric mobility and the battery value chain', . The XXIV ISPIM Conference – Innovating in Global Markets: Challenges for Sustainable Growth, Helsinki, Finland. Sick, N, Golembiewski, B & Leker, J 2012, 'The Influence of Raw Material Prices on the Diffusion of Renewable Energy Technologies', PICMET '12 Conference: "Technology Management for Emerging Technologies", Vancouver, Canada. Lecou, C, Sick, N & Leker, J 2012, 'Selection patterns in front end decision making - determining the probability of idea progress within the internal innovation process', XXIII ISPIM Conference – Action for Innovation: Innovating from Experience, Barcelona, Spain. Sick, N, Blug, M & Leker, J 2011, 'The influence of raw material prices on the development of hydrogen storage materials: The case of metal hydrides', PICMET '11 Conference: "Technology Management in the Energy-Smart World", Portland, Oregon, USA. Sick, N, Lecou, C, Wosnitza, J & Leker, J 2010, 'Assessing technology diffusion in energy markets - moderating effects of raw material prices', The XXI ISPIM Conference – The Dynamics of Innovation, Bilbao, Spain. Kraetzig, O, Hamadi, T, Sick, N, Meerholz, K & Leker, L 2017, 'Innovation promoters in technology transfer and insights from 'Technology transfer between science and industry''. Strudthoff, M, Sick, N & Leker, J 2016, 'Knowledge networks in battery research projects'. Golembiewski, B, Sick, N & Leker, J 2016, 'Cross-industry collaboration along the electric mobility value chain'. Sick, N, Preschitschek, N & Leker, J 2015, 'Cross industry collaboration the field of stationary battery systems'. Sick, N & Song, CH 2014, 'Using patent information to design future technology strategies: The case of lithium-air and lithium-sulfur batteries'.